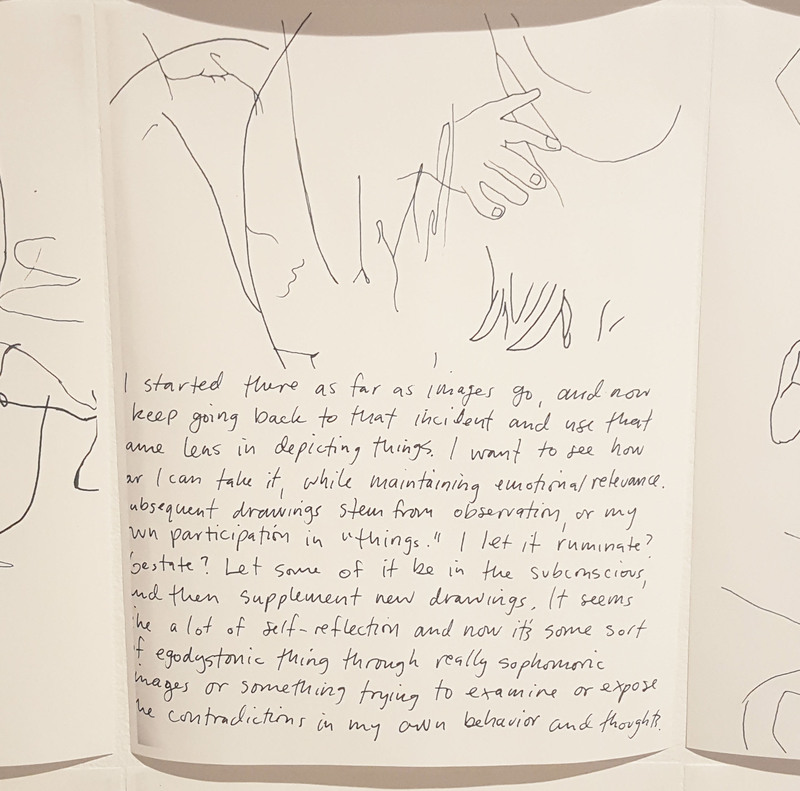 In an exhibition at Sol Koffler Graduate Student Gallery, books by 37 recent alumni shed light on new approaches to writing a RISD thesis. As content about art and design flourishes across a crowded mediascape—in print and web publications, on social media and through podcasts and Netflix docuseries—makers today enjoy more platforms than ever not just for sharing but also communicating about their work. So for grad students nearing the end of their degree programs, creating the thesis books that accompany their final bodies of work provides an invaluable opportunity to articulate their creative vision and design thinking. In Highlights: The RISD Graduate Thesis Book, an exhibition that opened in early September and continues through October 7 at Sol Koffler Graduate Student Gallery, work by 37 recent alumni illustrates how advanced degree students tap into the potential of text, images and the adaptability of the book form to situate their work within larger disciplinary and social contexts. The biannual show transforms the space into a hybrid gallery/special collections library, inviting visitors to survey the diverse creative practices emanating from the college’s grad programs and then delve deep into the ideas, research and personal experiences that inspire them. 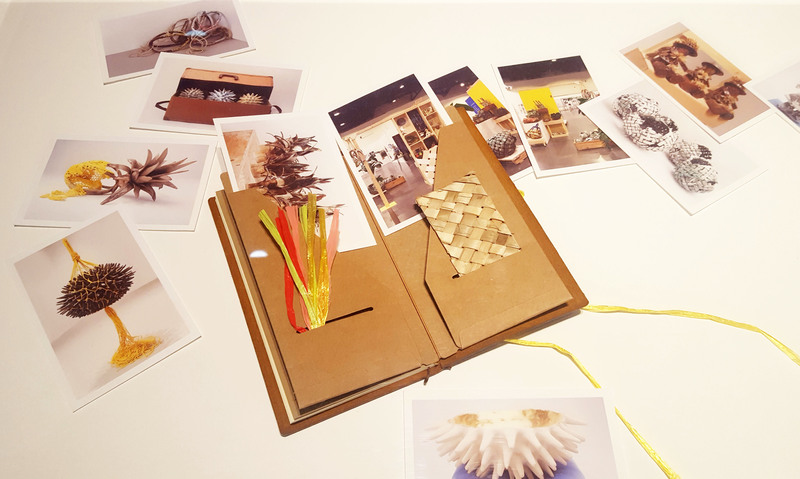 Curated by Elizabeth Leeper MFA 17 GD and Center for Arts & Language Director Jennifer Liese, Highlights is organized first according to broad thesis-book genres and then by how individual books use specific components of research, writing and publishing. For instance, Meltdown: Stubborn Categories by Ling Chun MFA 16 CR and The Club by Pedro Letria MFA 12 PH are grouped together alongside other exceptional artist monographs but also singled out for the pivotal roles that process photographs and captioning, respectively, play in shaping the form and content of each book. From academic theses and project documents to poetically allusive “mosaic” essays, the works on view all bear witness to an impulse to push boundaries. In a more traditionally scholarly book like Sometimes the sh*t stays messy: critical frameworks for arts-based researchers by Zoe Schein MA 17, print “hyperlinks” and unorthodox marginalia serve as constant reminders that, yes, writing and reading are necessarily messy processes. Another thesis book, [Nos]otros: La Práctica by Lucia Monge MFA 15 SC, is accompanied by a copious display of process documents—a suggestion of what an endless, exhilarating and aesthetically pleasing experience creative research can be. In the rear of the gallery a handful of objects that question and experiment with the very form of the thesis book are grouped together, including the sprawl of handwritten and drawn white pages in The Fish Market Restaurant by David Mortimer May MFA 11 PR and Nile Mansions Motel by Bathsheba Okwenje MFA 14 DM, a red file box of rearrangeable “book” pages reflecting on the artist’s childhood in Uganda. Nestled in a semi-secluded nook of Sol Koffler, the latter appears to viewers like a serendipitous, 11th-hour find at a research library: like the show itself, it is an invitation to read for hours—to immerse yourself in ideas while the light outside grows dim. An exhibition at the Sol Koffler Graduate Student Gallery showcases the diversity and depth of voice found within RISD’s graduate community. Moving beyond writing support, RISD’s Center for Arts & Language takes an inclusive approach to mentoring students. Master's degree candidates showcase the culmination of their creative efforts in this year's lively and impressive graduate thesis exhibition at the Providence Convention Center.